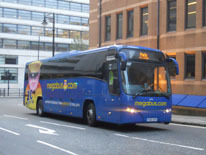 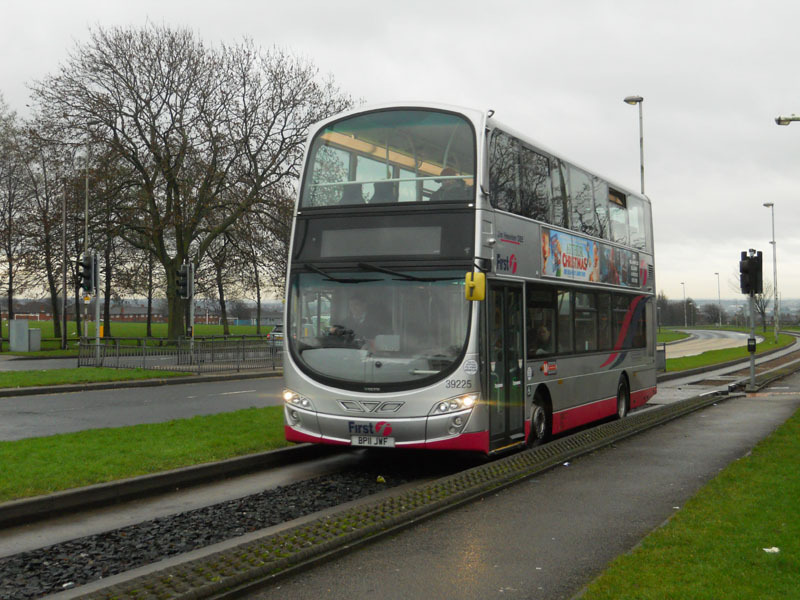 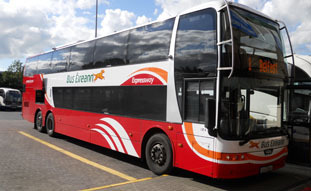 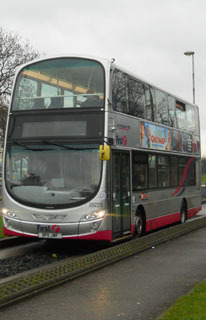 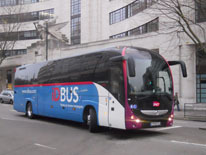 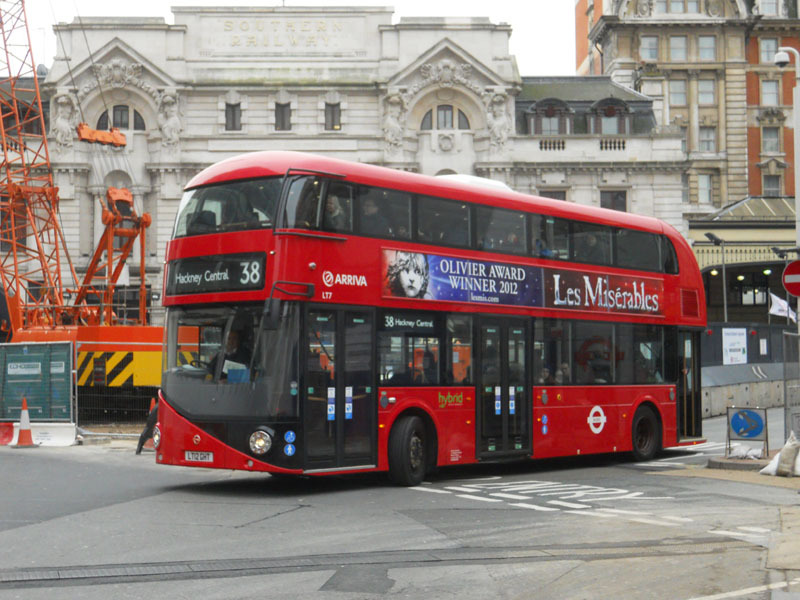 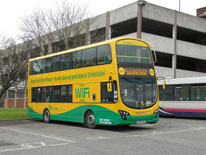 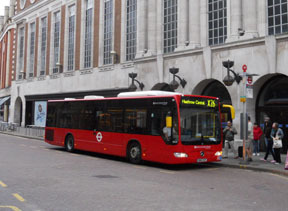 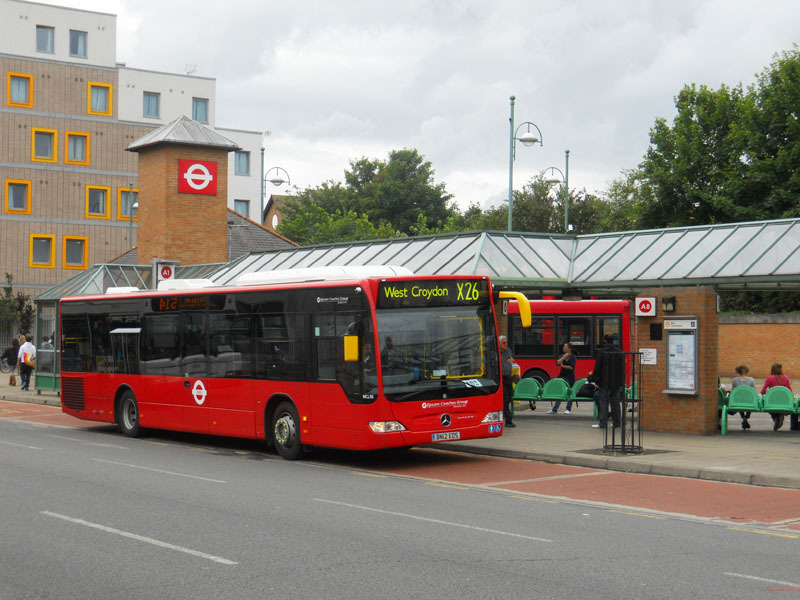 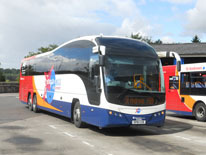 Buses powered by alternative power continued to make inroads into fleets in 2012. 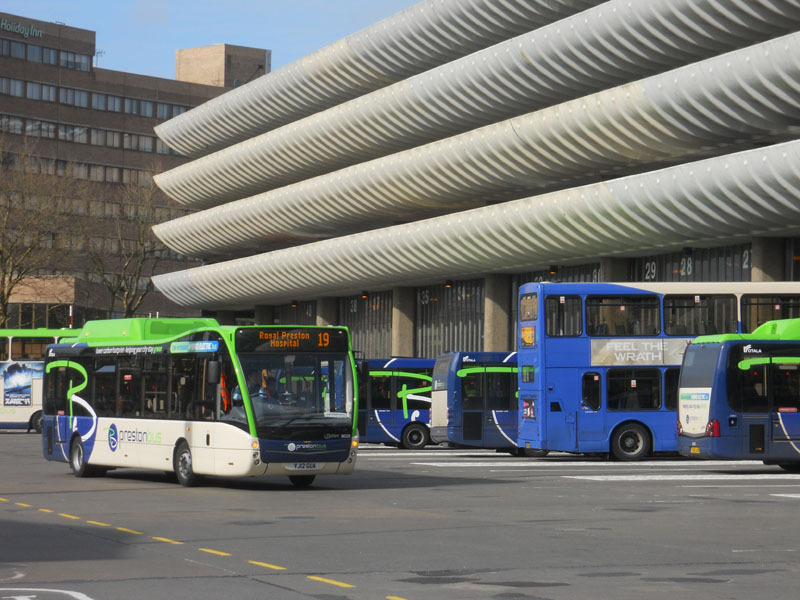 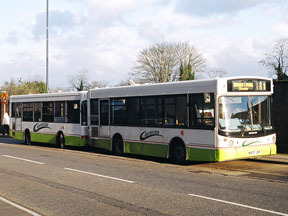 Hybrid vehicles, funded in part by the Government, gained a foothold in many smaller fleets such as Preston where their 30128 (YJ12GUA), an Optare Versa, was caught leaving the bus station in April [top]; Johnsons whose YJ11EJE, another Optare Versa, was operating the Stratford-Upon-Avon Park & Ride service in May [upper left]; Henderson whose 261 (SN61BLF), a Dennis Enviro200 in SPT livery, was seen at Kirkintilloch Cross heading for Milngavie in November [middle] and BakerBus, whose 246 (DX61EOO), a Wright bodied B5L, was seen in the soon to be closed Hanley bus station in April [bottom middle]. Major fleets also took hybrids such as First in Leeds whose 39225 (BP11JWF), a Wright bodied B5L, is seen on the guided busway in December [middle left]; Stagecoach, who took the first batch of Dennis Enviro350's as represented by 29015 (SP12DYN) in Stagecoach Gold livery in Perth in September [upper right] and Arriva in London who took eight Borismasters including LT7 (LT12GHT) seen at Victoria bus station in January 2013 [bottom right]. 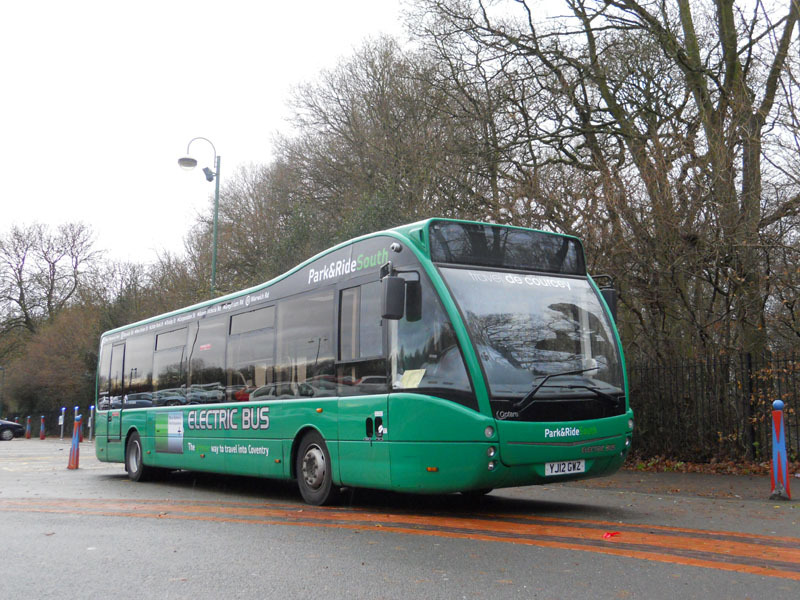 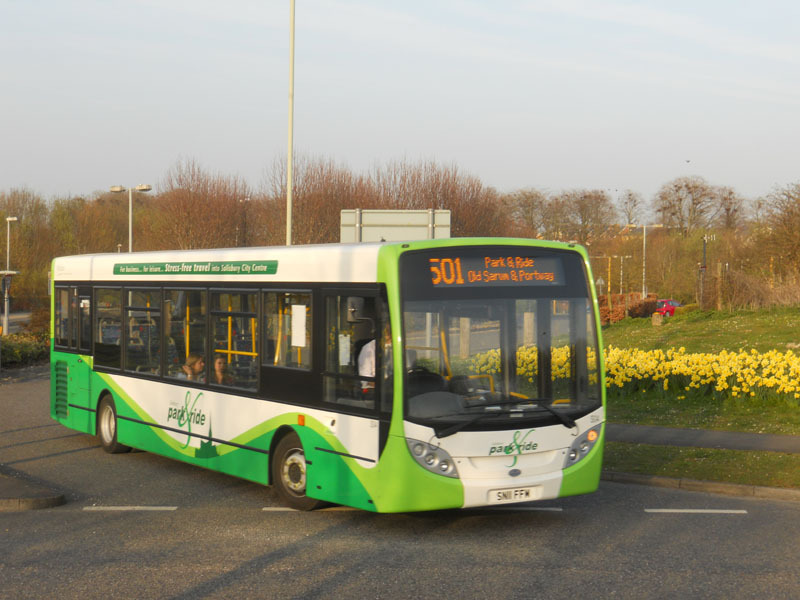 Electric vehicles are still in the minority, but De Courcy has a batch for the Coventry Park & Ride service such as YJ12GWZ, an Optare Versa seen in December. 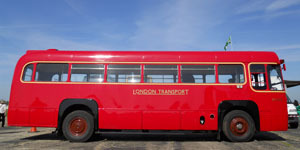 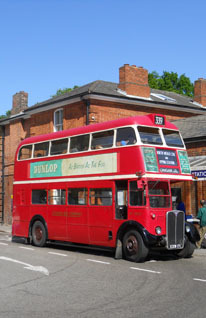 [Clockwise] London Bus Company operated a heritage bus route from North Weald to Epping where their RT3062 (KYX171) was seen in a hot May day; high profile route X26 from Heathrow to West Croydon is now operated by Epsom Coaches whose MCL10 (BN12EOS), a Mercedes Citaro, is seen at Kingston in July; Stagecoach Fife has encroached into First territory with a service from Dunfermline to Stirling and now First has crossed the border into Fife with a route from Livingston to Dunfermiline (sic) - their 65594 (W593SNG), an elderly Wright bodied Scania is seen at Ferrytoll in September; Stagecoach cascaded vehicles around the UK as cover during the Olympics, such as this Magic Bus liveried NCME/Olympian 16090 (R190XNO) from Manchester seen in Eastbourne in August; First East Scotland relinquished routes around Dalkeith which Lothian and its low cost subsidiary East Lothian Buses have started operating - their 639 (SK52OGX), a Plaxton bodied Trident is seen in Musselburgh in September; Salisbury Park & Ride was re-tendered and Hatts took over from Wilts & Dorset - their 504 (SN11FFW), a Dennis Enviro is seen in March; most unusually Stagecoach have franchised a route in Worthing to Compass Bus whose MX58VGP, a Dennis Enviro200 in full Stagecoach livery, is seen approaching the station in May. 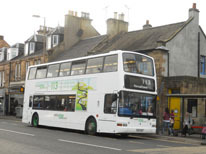 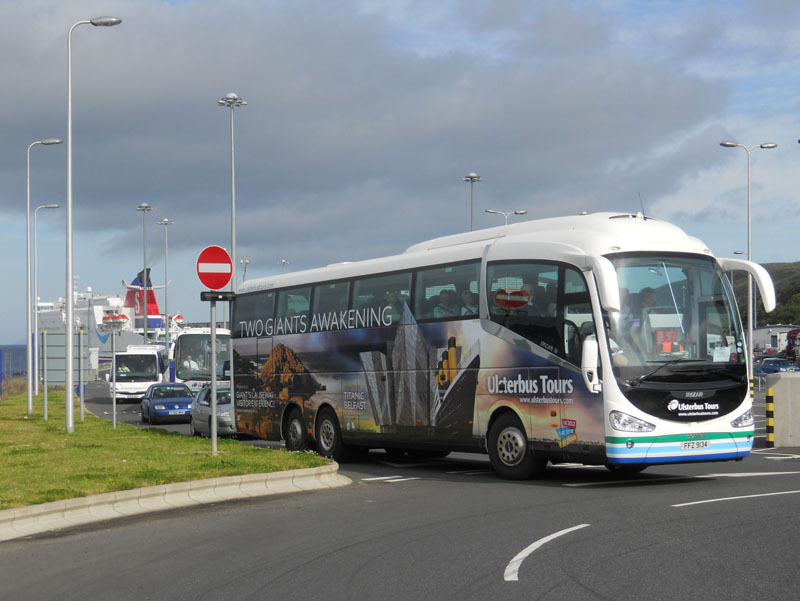 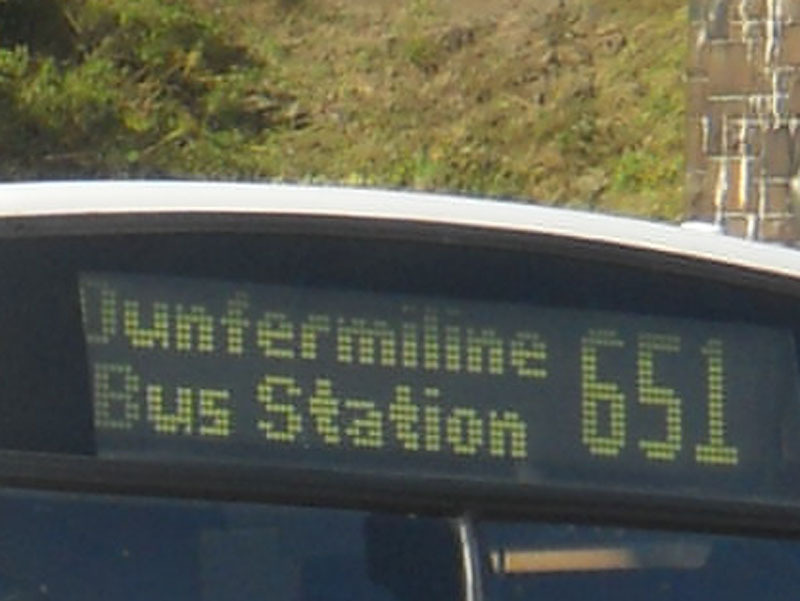 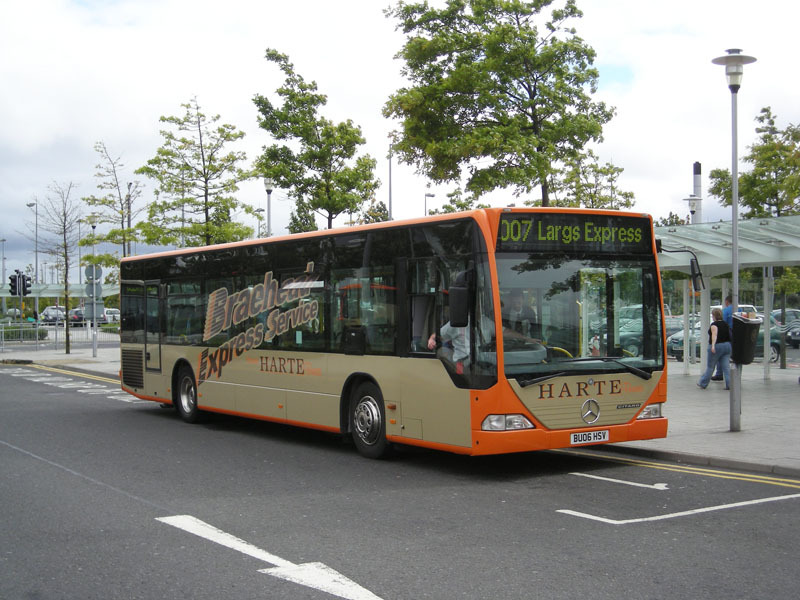 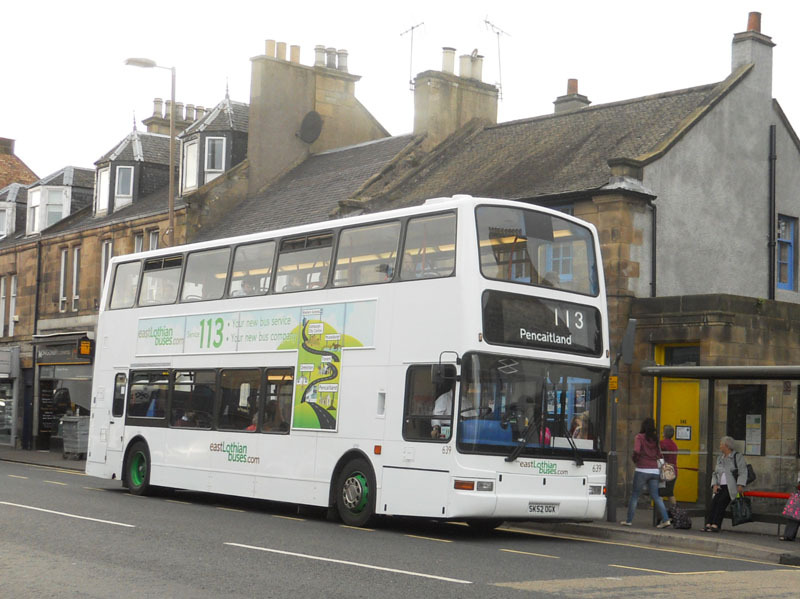 Harte of Greenock who had run local bus services for over 25 years went bust in 2012. 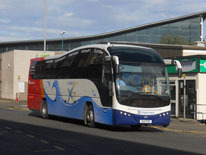 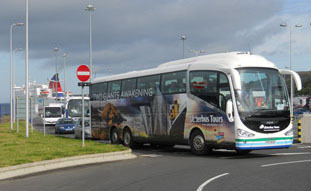 One of their distinctive, smart Mercedes Citaros (BU06HSV) is seen at Braehead on the previously discontinued service to Largs in August 2007. 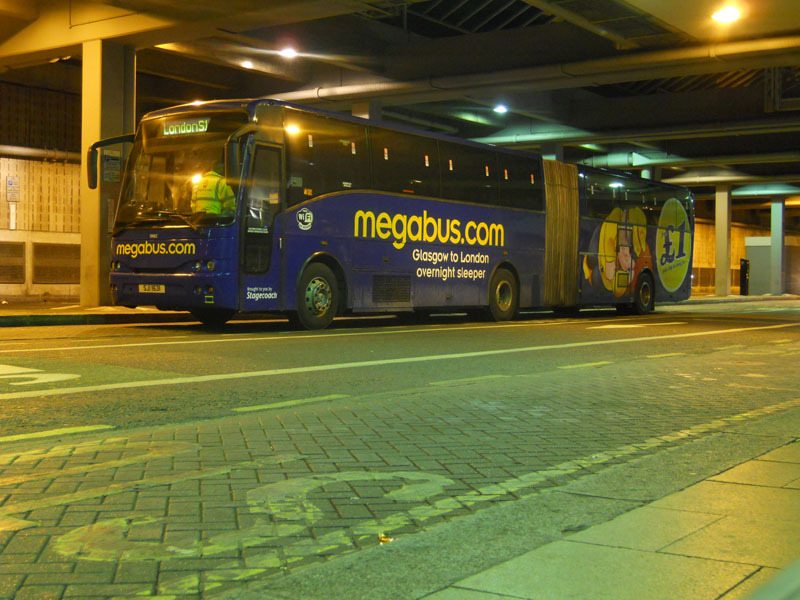 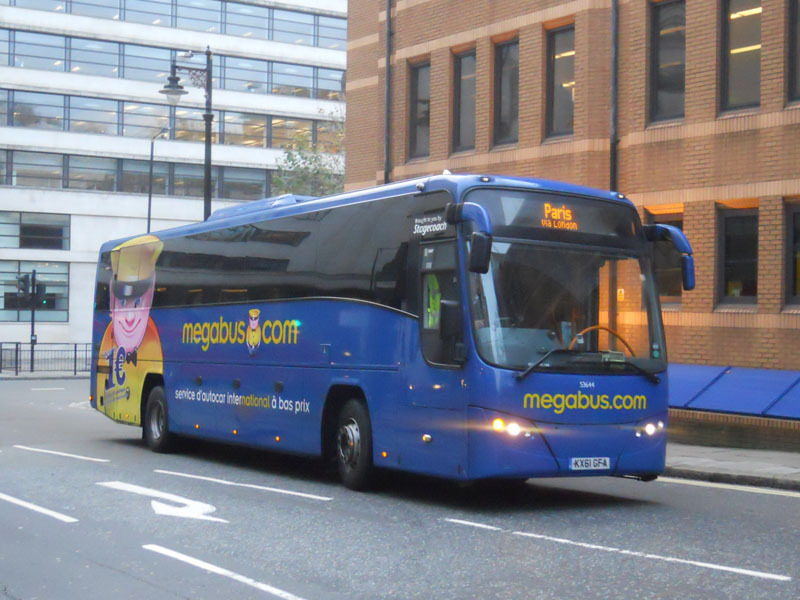 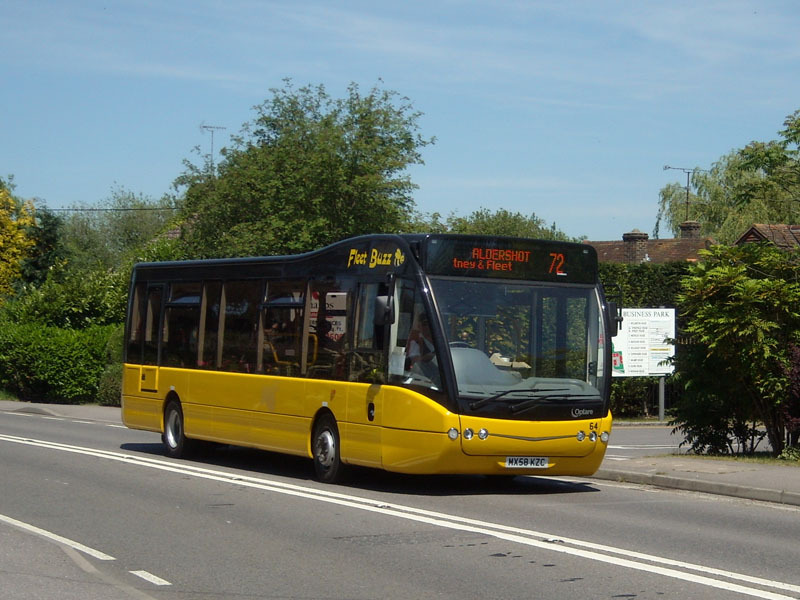 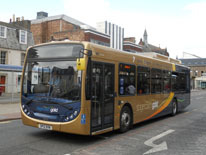 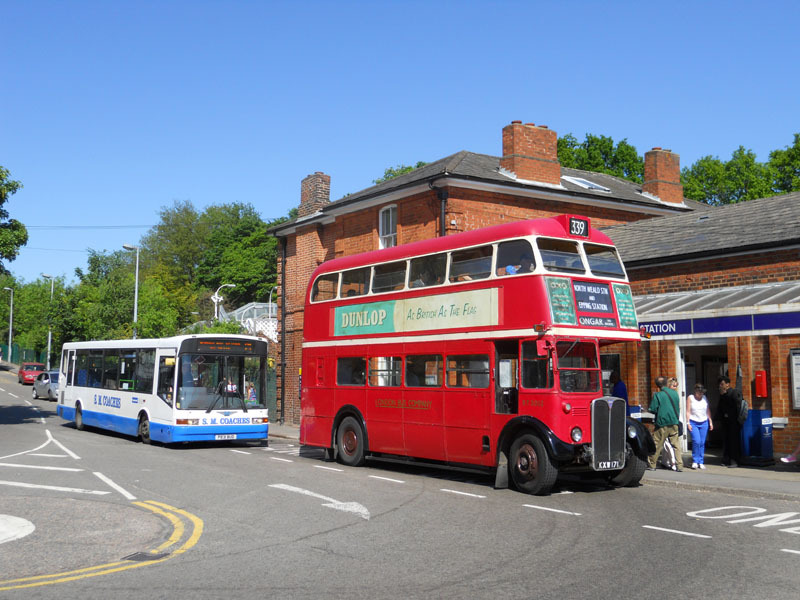 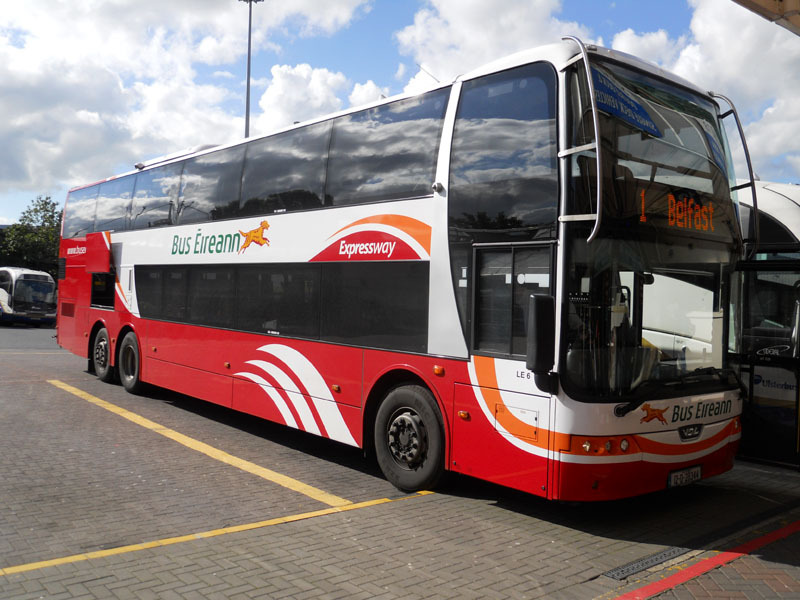 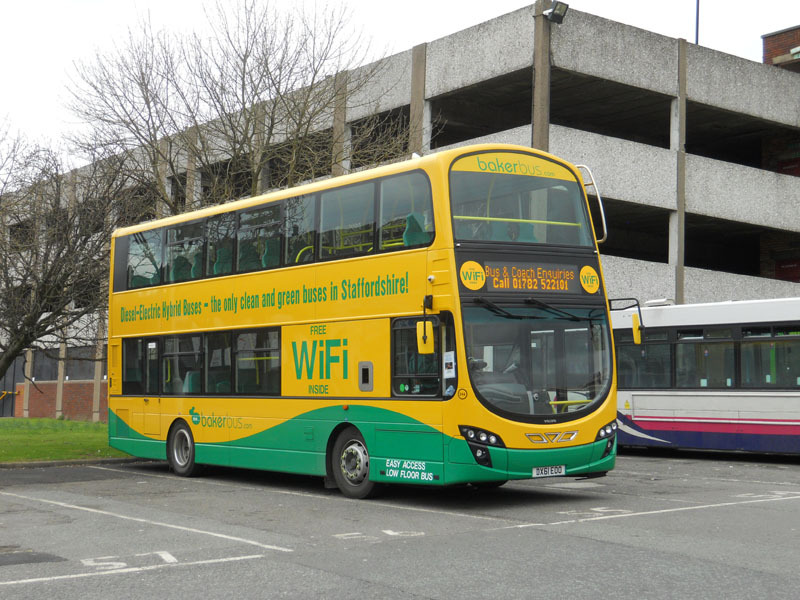 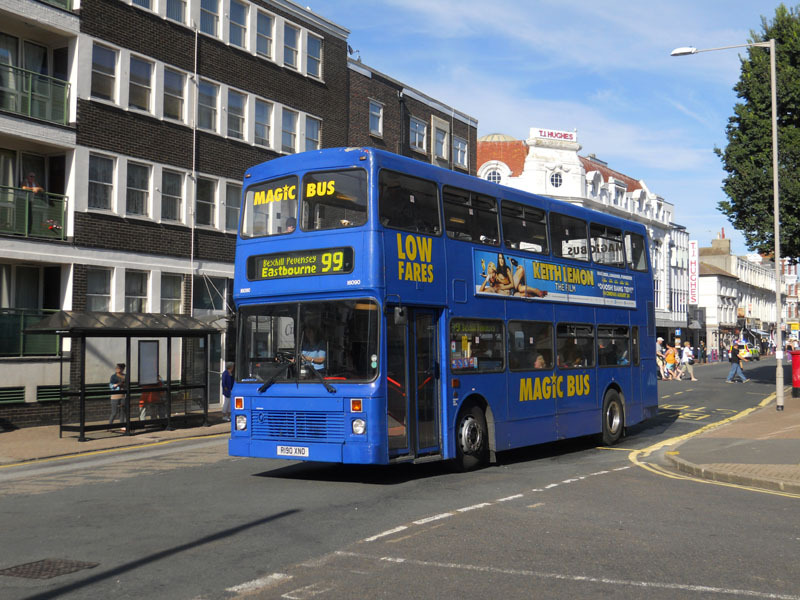 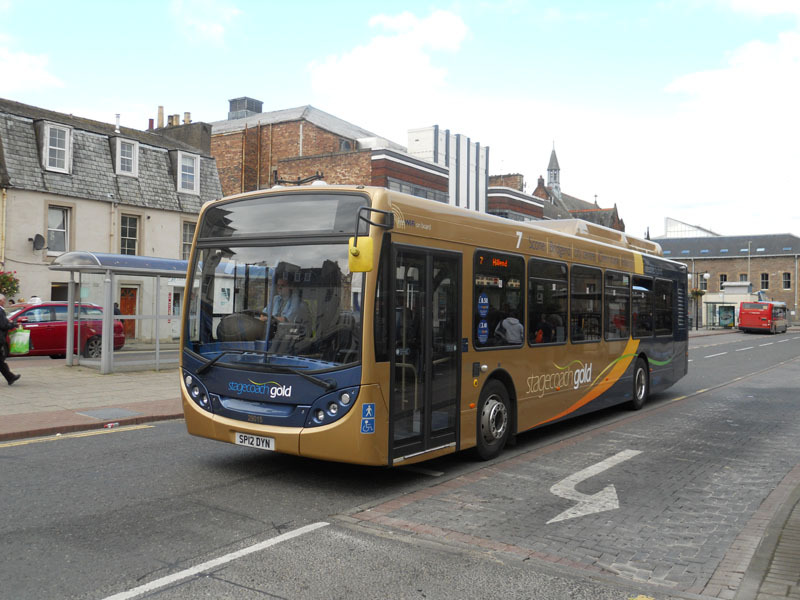 Fleet Buzz, a small but smart Hampshire operator who serves Farnborough and Aldershot was bought by Stagecoach. Their 64 (MX58KZC), an Optare Versa, is seen when new at Riseley on the Reading to Aldershot service in June2009. 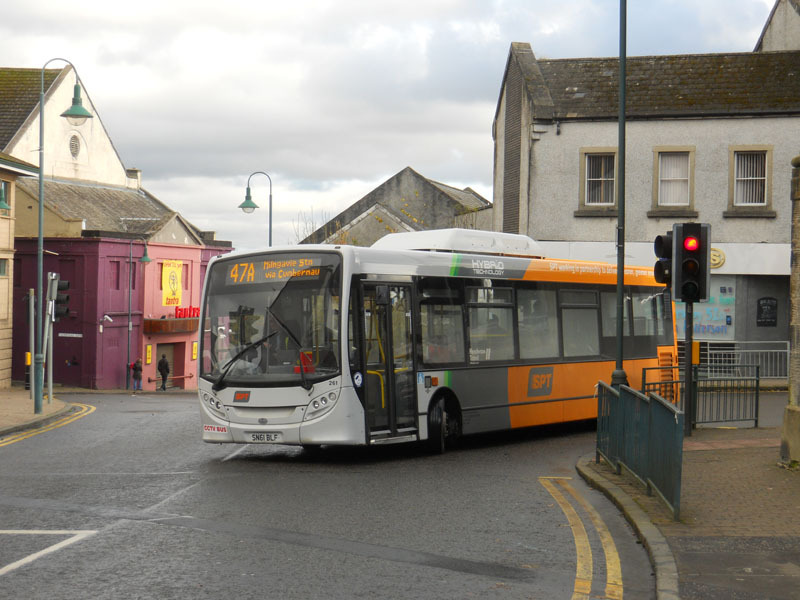 Go-Ahead continues its Monopoly-like purchase of small rural operators. 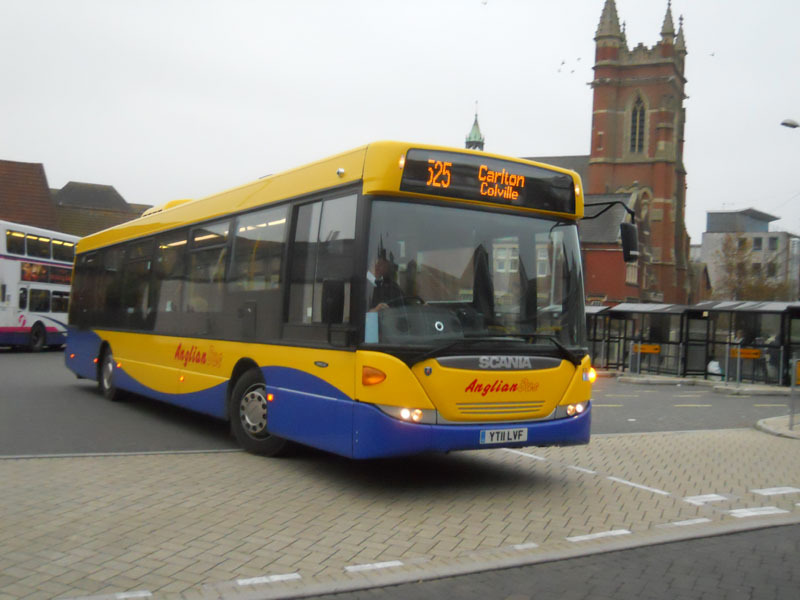 This year it was Chambers and Anglian Bus whose YT11LVF, a Scania Omnilink, is seen in Lowestoft bus station in November 2011. 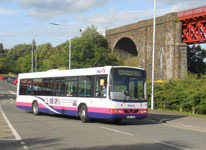 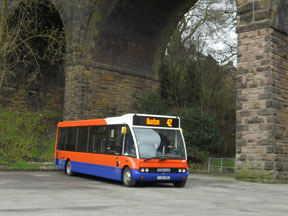 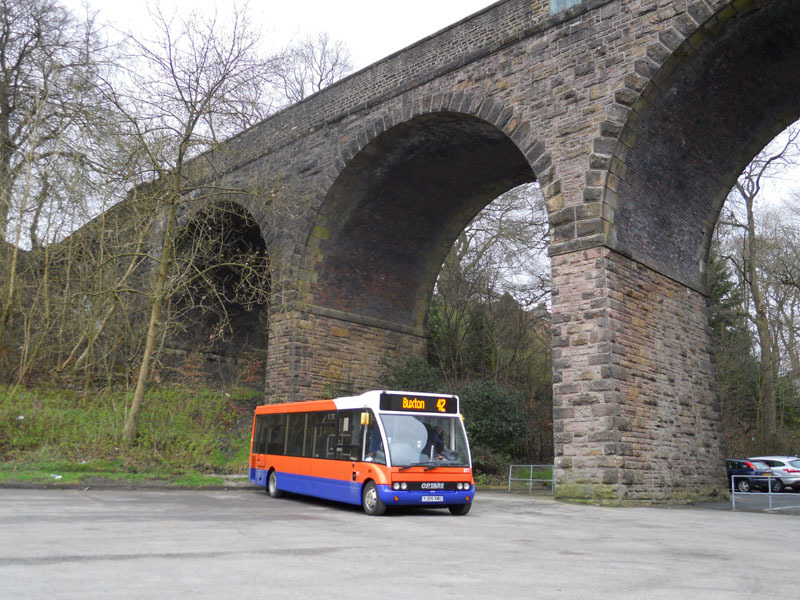 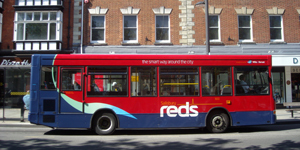 High Peak was formed by the integration of Bower's Buses and Trent Barton to provide services around Buxton. 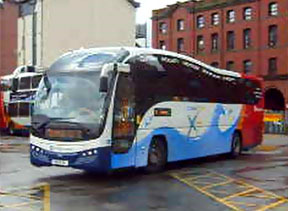 Their 377 (YJ05XMU), an Optare Solo, is seen in Buxton in Centrebus livery on a freezing Good Friday. First and Stagecoach have been battling it out in North Devon for over five years. Stagecoach eventually won, with First selling their operation to them. 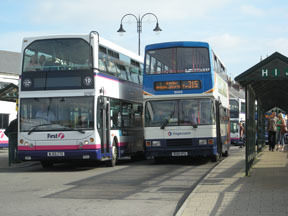 Here First 32767 (WJ55CTE), an East Lancs/Trident, and Stagecoach 16058 (R158VPU), an Alexander bodied Olympian, are seen in Barnstaple bus station in September 2007. 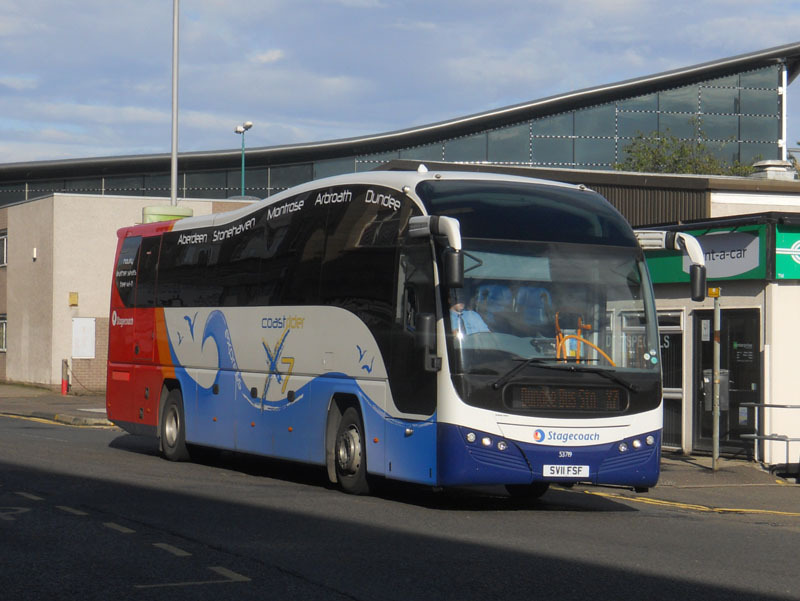 Stagecoach 53819 (SV11FSF) leaving Dundee on the service to Aberdeen in August. 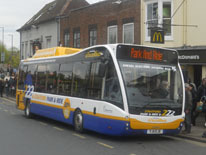 Epsom Coaches MCL10 (BN12EOS) in Richmond on the X26 service to Heathrow in July. 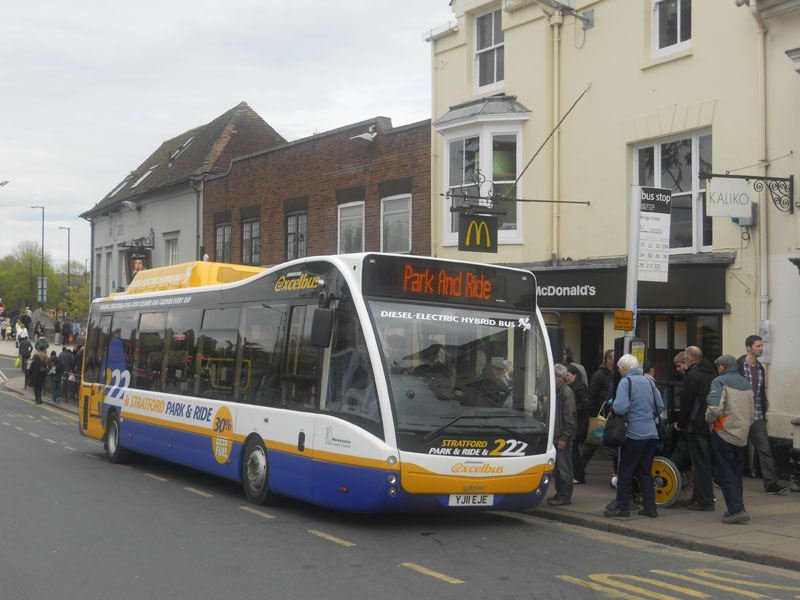 xxxxxxxxxxxxxxxxxxxxxxxxx All photos taken in 2012, unless stated. 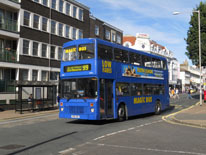 Click to enlarge photos and play clips. 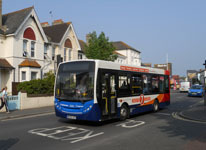 If you enjoyed the above article you may be interested in these articles which were first published in February 2011 and February 2012.